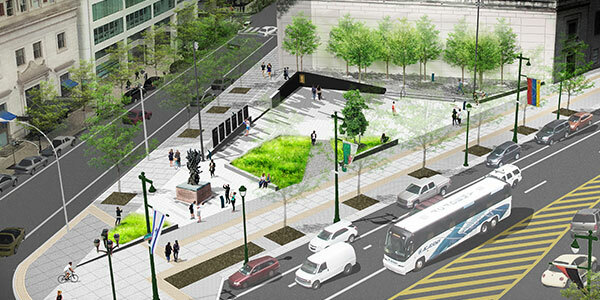 A group of high-level executives in Philadelphia commercial real estate have gotten together for a Holocaust memorial project on the Benjamin Franklin Parkway. 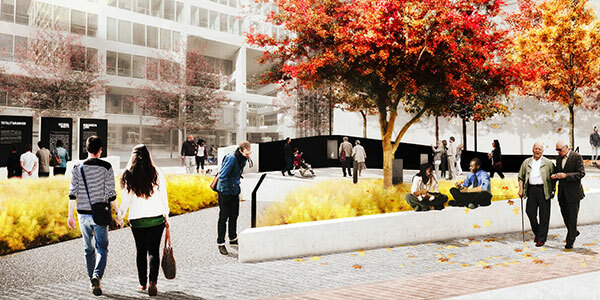 A group led by Campus Apartments CEO David Adelman, including Post Brothers’ Matt Pestronk, Korman Communities’ Brad Korman, Verde Capital’s Jake Reiter and Resource Capital’s Steve Kessler, have released plans for a $7M redevelopment of the land surrounding the Monument to Six Million Jewish Martyrs at the corner of the Parkway and Arch Street. The project is more than half funded, according to a press release, and slated to break ground later this year. 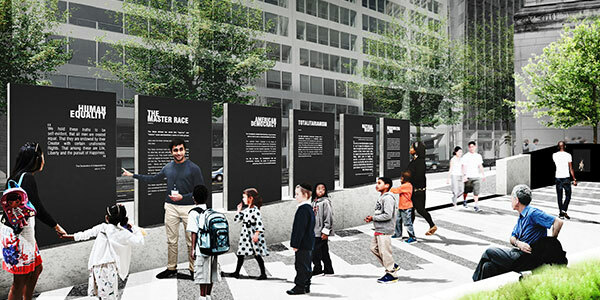 Among the design elements will be “Six Pillars” differentiating American values from Nazi principles, original train tracks from the Treblinka concentration camp and an original sycamore sapling from the Theresienstadt camp. The CRE executives became involved through their association with Jewish Federation Real Estate, which has been organizing the project for years. “I think it’s important for all of us, not just Jews, to be reminded of intolerance in society and our world,” Korman said, clarifying that it is not a political issue.